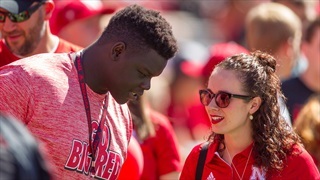 Scottsbluff, Neb., defensive end Garrett Nelson impressed at last week's Friday Night Lights Camp, earning an offer. Now he's a Husker. 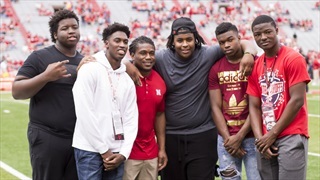 Marquez Beason, pictured in the white sweatshirt above, has decommitted from Nebraska. The 2019 wide receiver prospect made the announcement on Twitter. 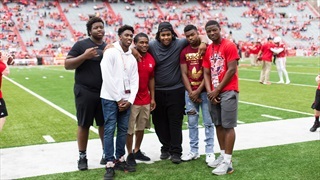 Marquez Beason spoke with Hail Varsity about what sold him on Nebraska, his plans as the Huskers' first 2019 commitment and more. 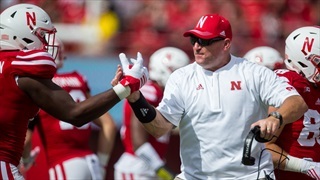 Nebraska picked up its first commitment of the 2019 class from 4-star Marquez Beason following Saturday's spring game.